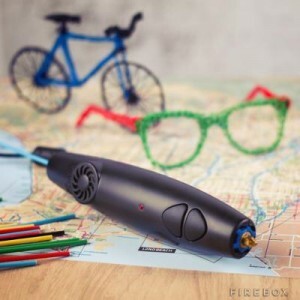 1 The 3Doodle is a 3D printing pen, allowing the user to draw in 3D using heated plastic filament, which cools almost instantly into a solid structure. Perfect for the artistic genius, or even somebody with a creative mind and a steady hand. 2 Every start-up has at least one team member who is permanently high on espressos. 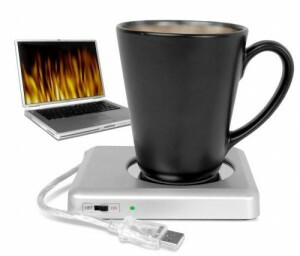 For your caffeine obsessed colleague, a USB cup warmer is the ideal gift! Simply plug it into a USB slot in their computer, and their precious morning cup of coffee will stay warmer for longer. 3 Are your colleagues burning the midnight oil in the rush before Christmas? Show them you care with the Night-Write Pen– perfect for those late nights drafting business plans. 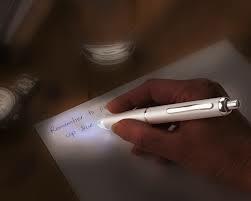 This gift is both thoughtful and cost-effective, as the pen has 2 bright LED bulbs emitting light, so feel free to turn the lights off when you leave them in the office. 4 Your CEO has all the charm and wit of Bond (or so you tell him), and he loves a Martini. 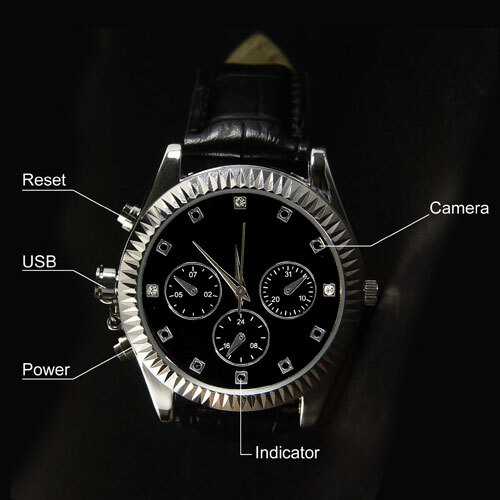 All he needs now is the secret agent DVR Spy Watch, which includes a video camera, and 4GB of internal flash memory. He’ll be offering you a lift in his Aston Martin in no time. 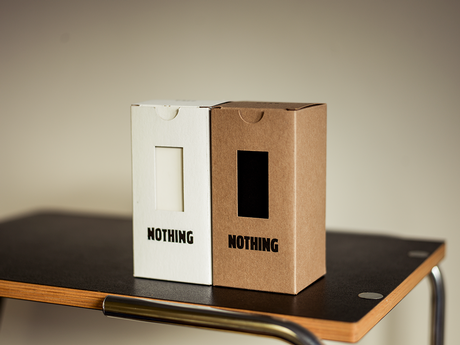 5 And finally, for the person who has everything, or the nihilistic philosopher in your office, we have the Box of nothing. This is literally an empty box, designed to remind the recipient that “You have everything. You need nothing.” Available at €34, or €199 for a version where the proceeds go to charity. Only recommended for colleagues with a sense of humour, or a charitable side, or else you’re getting a lump of coal in return next year. A new infographic released by UAB Collat School of Business has given a small glimpse into the future of Mobile Application Development. Some truly astounding statistics are included, showing that the only way is up for the Mobile Application Development sphere. One of the most eye-catching statistics is that 1,000,000,000 smartphones will be sold this year. This is double the amount of PC’s that will be sold, clearly indicating the way the wind is blowing. Furthermore, it is forecast that the world’s population will have grown to 7.3B by 2016, and there will be 10B mobile internet devices in use globally. This represents a clear opportunity for mobile app developers to gain billions of new customers! This infographic goes on to forecast expected revenues from mobile apps. In 2014, the expected final revenue is $11.4B. What is interesting is their projection for 2016, which rises to $24.5B. This again is good news for app developers, as increased revenues means increased profits. It is estimated that by 2015, one in three consumer brands will feature integrated payment in their mobile apps, offering further opportunity for monetising mobile apps and increasing revenue. The infographic goes on to show the percentage that an app was used in the past month among recent apps downloaded. Games had the highest percentage, with 60%. Will the launch of faltering Mind Candy’s World Of Warriors be able to take advantage of this trend? Other interesting figures from this segment are Music at 43%, Social Networking at 47%, and shopping/retail at 24%. The reason I’ve highlighted these sectors are because they are the most obvious sectors to monitise and gain revenue growth. 24% for Shopping/Retail for example may seem quite low, but this means that there is a large proportion of people who can perhaps be persuaded to use their app more often, using a growth hack like offering an in-app discount for example. This could create more loyalty and more frequent use amongst customers. One of our clients, Styloko, are seeing fantastic success in this sector, and are poised for a strong 2014 Christmas season. One of the trends pointed out in this report is that Mobile Social Networking is the fastest-growing consumer mobile app category. Another of our clients 23 Snaps, the leading private social network for families, has seen tremendous success with their customer acquisition strategy, helping to illustrate this point. Whilst this sector doesn’t seem the most obvious for monetising, the immense value of Twitter and Facebook amongst others shows that if you get it right the rewards are astronomical. With the projected increase in mobile phone use you would expect more giants to emerge in this sector. Another emerging trend is for object recognition, with more sophisticated sensor and processing capabilities enabling exciting new functions. The Amazon Fire phone, whilst not currently a roaring success, has the capability for the camera to recognise an object in the real world, bring up web information about it, then offer to let you buy it on Amazon. This is a currently untapped market, which could explode and help mobile app revenue’s continue to skyrocket. Data analysis, too, will help increase revenues, for example in the mCommerce sphere, with data algorithms recognising people’s tastes and recommending similar items. As detailed in a previous Forsyth Group blog, exit returns on investment from mobile internet companies have already reached $93B in the last twelve months. When combined with the ongoing increase in smartphone ownership, and the rise in projected revenue, it seems clear that the mobile application space is only going to rise.